MEBO regenerative nutritional substance for skin can protect, regenerate and nourish all layers of skin tissue cells in a three-dimensional way. 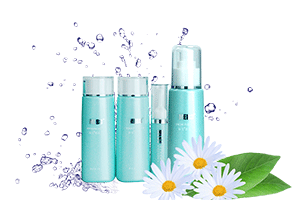 MEBO skin care products use soluble fatty acids as the oil-phase base material, which is a breakthrough in cosmetic products. They have excellent skin-friendly moisturizing property, and more importantly, under their nourishment, fibroblasts will present fasciculate arrangement to support skin, showing a healthy and tight skin status.